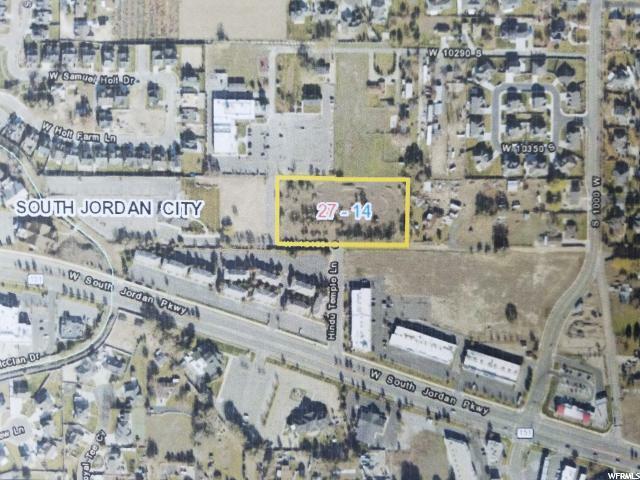 Flat / rectangular shaped lot has easy access to 104th south. Located perfectly, 5 minutes west of I-15 right in the middle of the South Jordan City Business district. This amazing property is a premium location for success oriented businesses. Previously "under-contract" to a builder trying unsuccessfully to get a residential designation, this location is back on the market by a highly motivated owner. Please, no offers requiring zoning changes to anything other that office space.